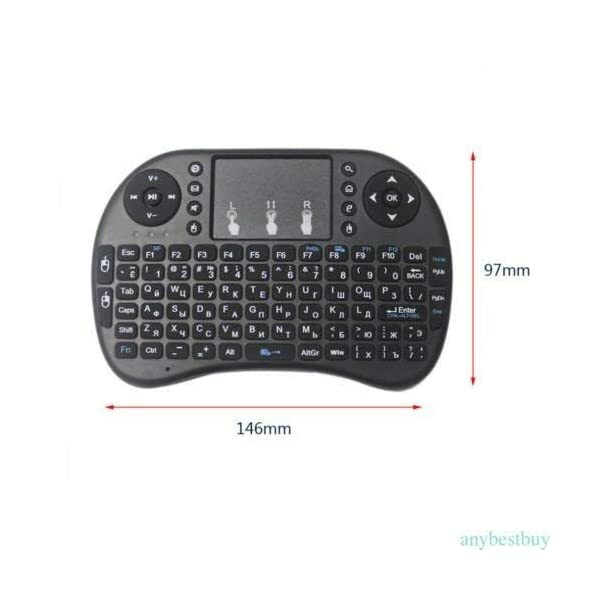 ►Ergonomic design compact & Slim: handle keyboard with soft surface process. 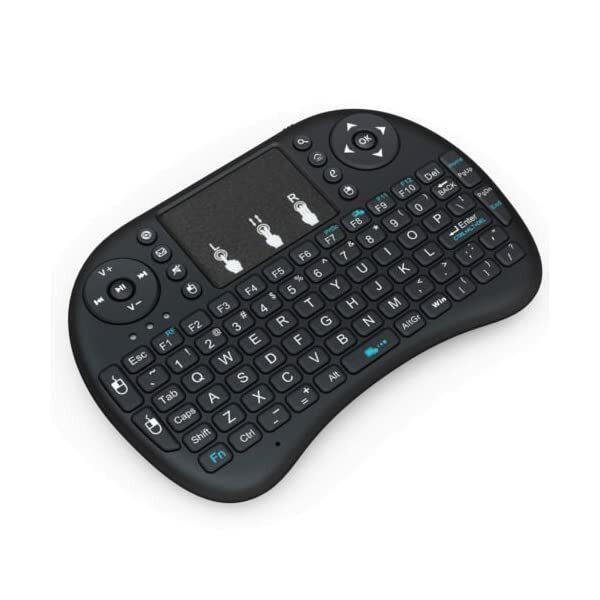 ►No need driver plug &Play: insert the USB Receiver and turn on, this Mini Wireless touch keyboard could work well. 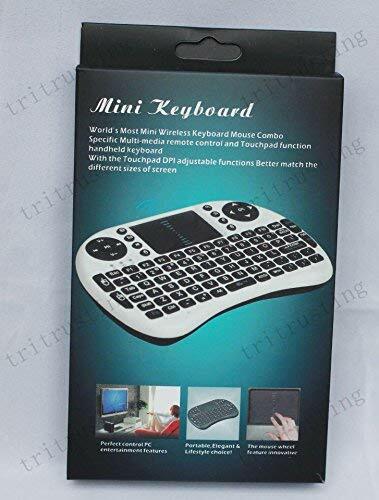 ►Battery type: two aaa batteries included）. 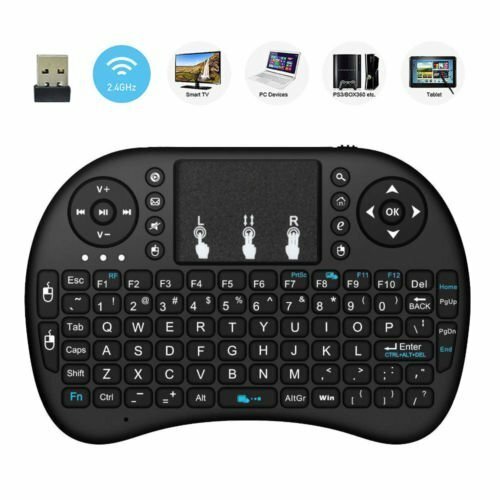 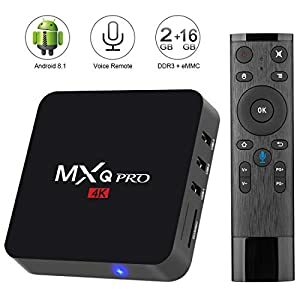 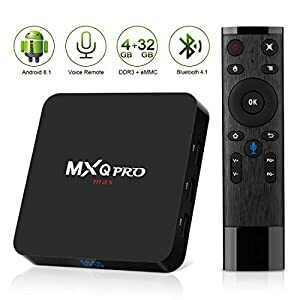 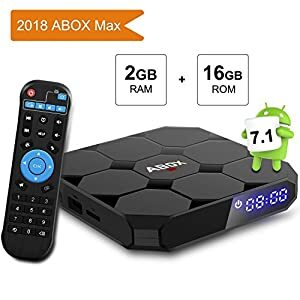 such for Smart TV /Android TV BOX/ Projectpr/HTPC/PC /Raspberry Pi2/3 and so on . 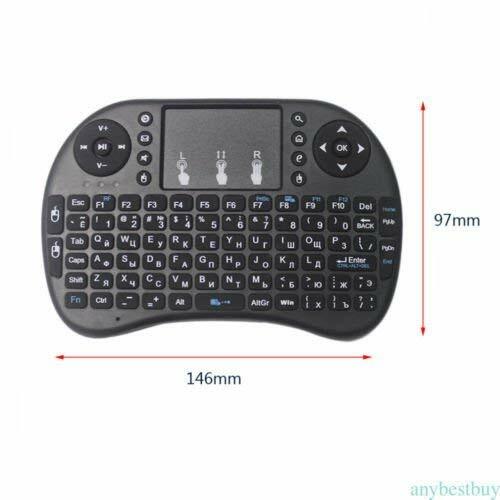 A mini size Handle keyboard remote for Smart Life. 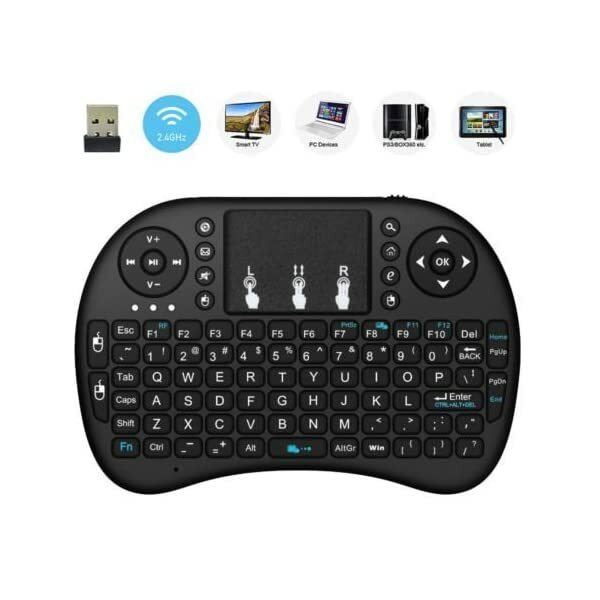 Features -92 keys, 2.4GHz wireless Keyboard with Touchpad. 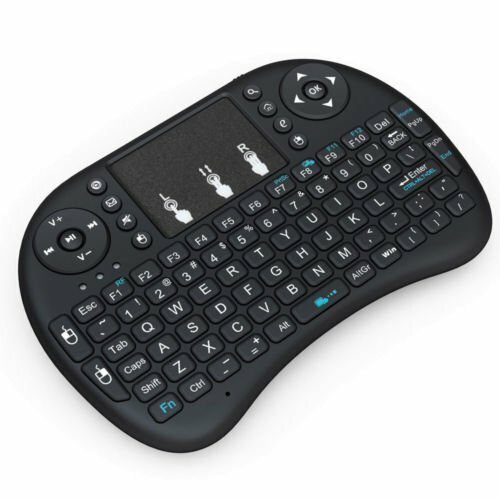 -Touchpad DPI adjustable functions. 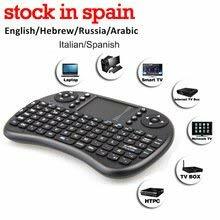 -High sensitive multi- touchpad. 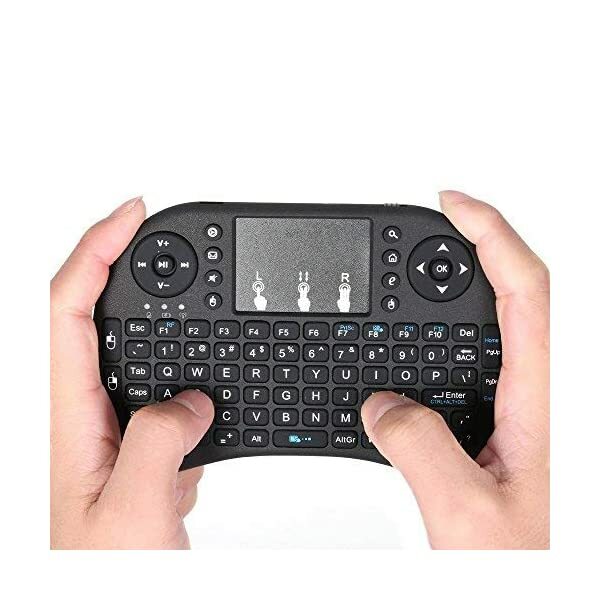 -Mini wireless keyboard with multi-media control keys . 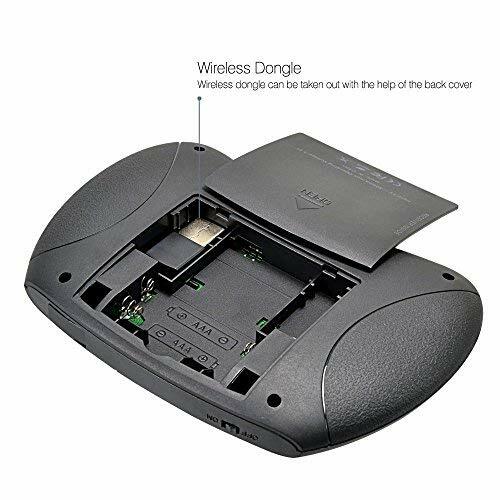 -Auto standby if there is no operation in 3mins ,and press any button to wake it up. 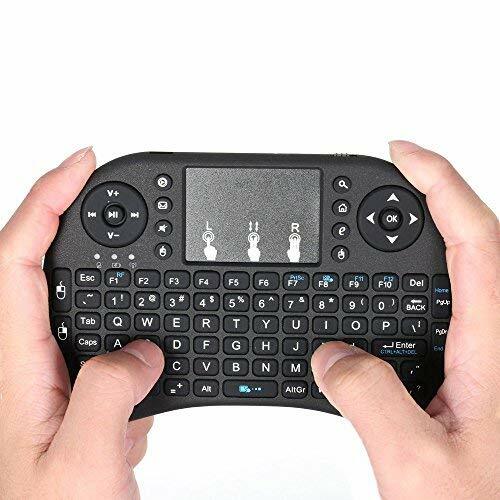 -Battery Type: Two AAA batteries（Not included） -Notice: After 3 minutes without any operating will into sleep mode, press any key about 1s to wake up.